Hi Andy, thanks for responding. 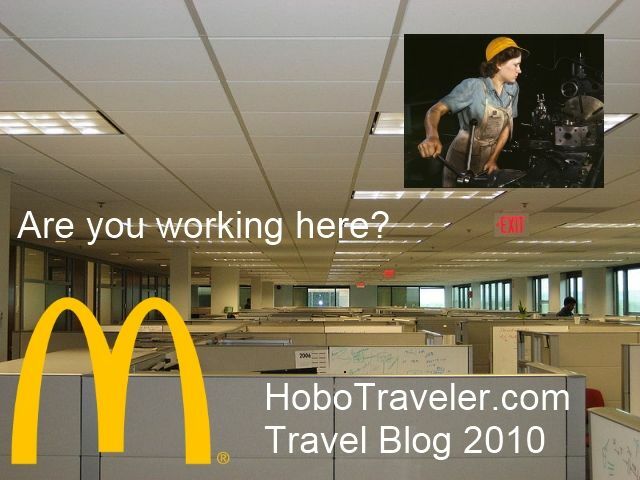 I have visited Hobotraveler.com for a little over a year now and am truly inspired by your lifestyle, which is the antithesis of my current lifestyle (which I absolutely detest). If you don't mind, could you please tell me what advice you would have for someone looking to make a transition from 9-to-5 life to your type of lifestyle? I'm sure that someone with your extensive experience around the world would be able to offer some great insight. We are different, what will work for me, will not work for you. Thank you Chris for writing clearly your wishes, I will not click reply. I know within this site, there are 1000’s of insights, that is your job to find them. One percent of readers will make the time, and take what they need, and the other 99 percent will want simple answers. I can only guide, I try to keep people on the path, and somehow people refuse to follow success. A flimflam man comes along, selling secrets, books, and potions and they buy. Never asking himself or herself, is this person really living the dream, or are they selling dreams. Many a person makes money selling dreams, very few live their dreams.